The current Lok Sabha session seems to be pointing in the direction of the political momentum of the country and it does appear that events are not moving the way that the Bharatiya Janata Party (BJP) would want them to. 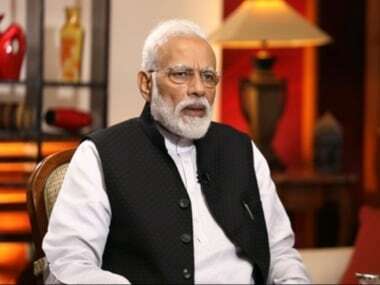 Countering Prime Minister Narendra Modi's interview to ANI on New Year's day, in which he tried to portray the Opposition as an excrescence on the body politic, Congress president Rahul Gandhi did a decent job of putting the government in the dock over the Rafale deal. 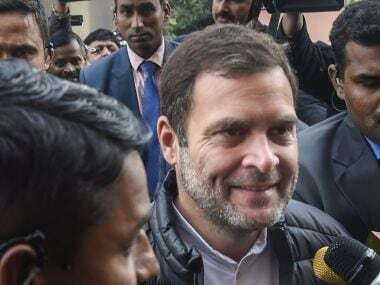 It’s taken a lot of time for the Opposition leader to get up to speed, but with fresh winds swelling the Congress party’s sails after the last year’s Assembly election results, Rahul's performance as a national counterpoint is showing considerable improvement. 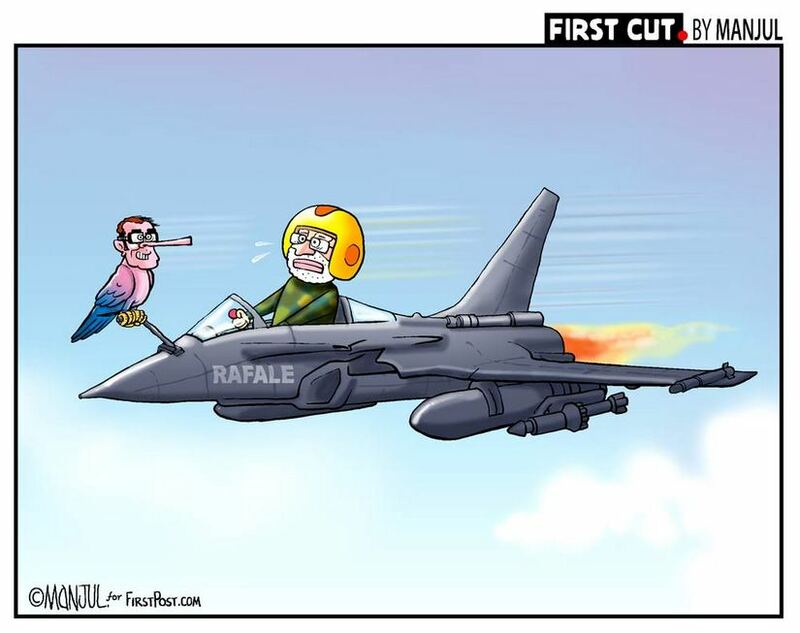 And that is why the ruling party found itself isolated when Rahul tore into the government benches over the details of the Rafale deal. Rahul's most telling point in Wednesday’s debate was the absence of the prime minister during a debate that has come to represent a host of seminal issues. Modi found the time on 1 January to give a ‘friendly’ interview, yet, as Rahul pointed out, he could not accommodate his schedule to be present in the Lok Sabha. Instead, he left it to Finance Minister Arun Jaitley, who is not even a member of the Lower House, to take the flak. 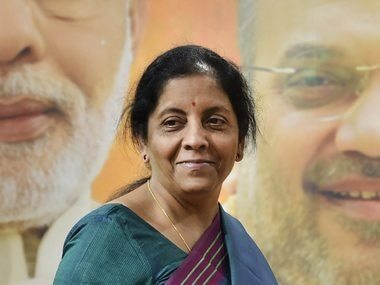 Defence Minister Nirmala Sitharaman, a Lok Sabha member who was in the House, should have fielded questions since the Rafale deal comes under her territory. But she did not participate in the debate. Rahul has been hammering away at one curious point for some time and he did so again on Wednesday: That is the prime minister’s studied reluctance to engage. Whenever Modi communicates, it is in a medium – social media, interviews, public rallies – that does not allow for interaction. He speaks, others listen. Thus, Rahul's dare for a one-to-one debate is moot. It is unlikely that Modi will take it up because he revels in public oratory and not pointed debate. They should engage him, however. That became plain during the Lok Sabha debate. As members of the public, we are not privy to the details of the Rafale deal, because the Supreme Court received them in a sealed cover, satisfied its ‘conscience’ and exonerated the government of wrongdoing. Conscience? Since when did the judiciary started dealing in matters relating to inner faith? Are we next going to hear that the judicial spirit has been appeased and tiresome legal/juridical processes need not be allowed to run their unwonted course? 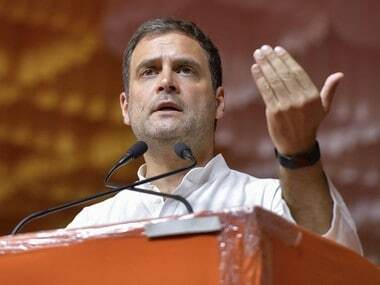 When Rahul raised questions about the deal and demanded a probe by a joint parliamentary committee, which of necessity would make the details of the deal public, all that Jaitley could do was cite the Supreme Court’s absolution of the government, and accuse the Congress of corruption. The BJP in its 38-plus years of existence has not showed undue reverence for the judiciary. Yet, it now cites the Supreme Court’s untroubled conscience to repel demands for a JPC probe. Once Rahul got the demand going, others, whom the BJP would normally counts as friends, also did some of the running. The Shiv Sena, still formally an ally, made the telling point. If we are an honest government, a party MP asked, why are we running away from a JPC probe? Others have made the same point. The BJP seeks to hide behind the argument that details about pricing and technology cannot be revealed in the national interest, but fails to mention that the Comptroller and Auditor General (CAG) is already privy to the pricing details and that Parliament’s public accounts committee will by established procedure examine them sooner rather than later. Echoing Rahul's allegations of corruption the Shiv Sena and BJD weighed in on several inexplicable, or at the very least as yet unexplained, phenomena. The former asked, not unreasonably, why the defence minister was not part of the delegation that went to France to finalise the deal, though Anil Ambani was in the entourage. And, of course, no one has yet been able to explain why, or how, a company just incorporated and with zero experience of aircraft manufacture (even of parts) bagged a lucrative ‘offset’ contract. A BJD member accused Jaitley of cherry-picking facts to give the impression that the deal was clean. He demanded a white paper and warned that questionable defence deals would scar the National Democratic Alliance just as it had scarred the Congress. But uppermost in the minds of taxpayers will be Modi’s response. Will he respond to Rahul's challenge, because the accusations and controversies are directly about him, or will he retreat behind barricaded walls of monologue?